Ex-chateau prices for 2010 Bordeaux en primeur have finally come to an end after a month-long period of spontaneous release from forty sought-after Bordeaux classed growths. Chateau Ausone tops the list by offering at EUR1,120 per bottle, representing a 17% increase from its 2009 release price. 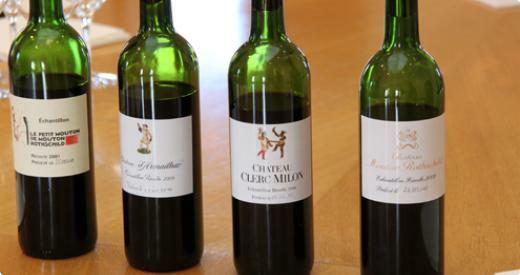 Second wines of first-growth properties demonstrate the more fierce increase in price compared to 2009 – Pavillon Rouge and Petit Mouton both sees an 80% increase in price and are both selling at EUR108 per bottle. Among the critics, we have Robert Parker remarking that in order to be “smart”, top chateaux should sell 10-20% lower than the 2009 vintage. And that appears to have been observed only by Ducru Beaucaillou, Cos d’Estournel and Leoville Las cases, each shedding 17%, 6% and 11% in release prices compared to their 2009 ex-negociant offers. The price level of classed growth has everyone caught in crossfire.Rauzan Segla met blunt refusal to allocation from negotiants after releasing its 2010 vintage at a 40% higher price than its 2009 release price. Cheval Blanc steals the limelight lately as “disappointed” British wine merchants decried the opening price of EUR$900 (which is 21.4% higher than its 2009 release price) among which Farr Vintners has “turned down” further allocations from the chateau. During Vinexpo, French foreign minister and Bordeaux mayorAlain Juppe told Decanterhow “the market decides the prices [of Bordeaux 2010 en primeur]” and that “the wines are actually great value”.Sylvie Cazes, head of the Union des Grands Crus, shares similar viewsand points out that current tension resembles the emergence of America as a new market for Bordeaux wines in the 1980s. Back in China, Don Pierre St. Jr, head of Shanghai-based ASC Fine Wines, comments that the dragging 2010 campaign has been “a missed opportunity” for Bordeaux as small allocations and negative press plant doubts among buyers – as if they have not been put off by, in Jancis Robinson MW’s words, the “dark art of tranches”. Fresh in the news today is the strategic decision of major Chinese retailer Aussino to stop promoting Bordeaux left bank winesbecause of their dangerously high price levels. The Chinese retail giant is not giving up on Bordeaux entirely but will shift focus to right bank wines in future.